This week is a big one in the United States. As they prepare for their time of thanksgiving, they will celebrate the occasion with a number of traditions and events. And here, over the next few days, I will share illustrations to highlight them all. The last Thursday in November is a time for Americans to gather and think of the blessings that have been bestowed upon them. On Nov. 27, here will be family, food, fun and football. But before that, there is a lesser known event to commemorate — National Tie One On Day. Created by the author of The Apron Book, Ellyn Anne Geisel, the day is an unofficial holiday which contradictory to its name, is not about going out to partake in drunken revelry, but about giving back. Geisel said, "Women clad in aprons have traditionally prepared the Thanksgiving meal, and it is within our historical linkage to share our bounty." 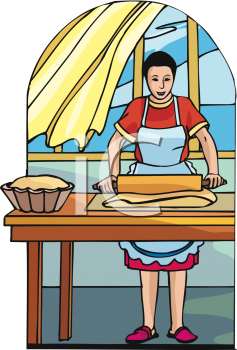 The concept then is to tuck a message of support or comfort into the pocket of an apron. Use this to then wrap a home-baked product you will present to someone in need. It's a lovely gesture and a reminder that society as a whole is still comprised of generous and kind people.